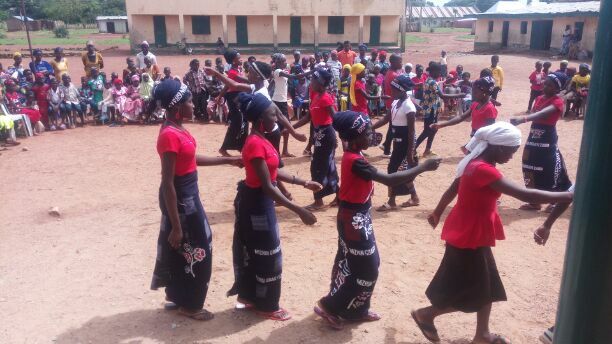 As millions of children across the globe celebrate this year’s children’s day, children of Bugai Kujama, Chikun local government area of Kaduna State, Northwest Nigeria are not keft out despite the location of their community. This was even as they used the called on government and general public to address the increasing violence against children in all its ramifications. Bugai Kujama village is about 30 minutes drive from Kaduna, the state capital with mixture of Gbagyi and Hausa cultures, Christians and Muslims and one primary school their children attend. This community is one among several others where there is little or no presence of government. For instance, no single health facility despite its huge population. 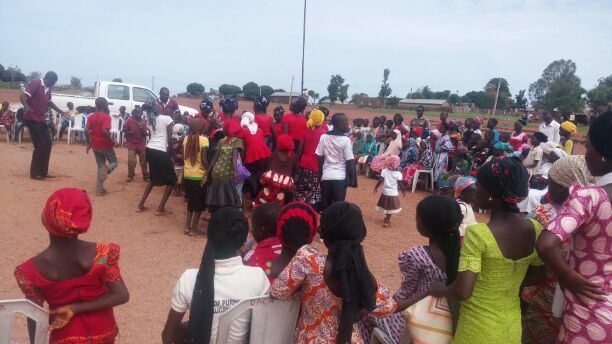 The children, who made the case on Saturday when a non-governmental organization, Archdiocesan Catholic Healthcare Initiative (ACHI) supported by Save the Children Project took the celebration to their community, expressed worry over what they called attempt by perpetrators to cut short the potential of their mates through domestic violence and child trafficking. 15-year-old Obed Daniel who presented a speech titled, ‘Stop violence against children now’, lamented the spate of crime committed against children in Nigeria with low reportage which he said has also made it difficult for policy makers to rise to the occasion decisively. Another child, Purity Bulus also called on parents to take care of their children urging them, to stop trading their children by a way of sending them to cities to go and do househelp or made. Purity noted that, many of such children today have a lot to tell about what they are passing through in the hands of their caregivers but many of them could not have the opportunity to share their experience with anybody that can offer help. “As children, we know that we are the future of this country and nobody can stop us from becoming what God want us to be. But many people could not achieve their purpose on earth because their life have been truncated in their first decade on earth. “We are grateful to organizations like UNICEF and ACHI for pleading our course. If not for ACHI, we would probably be on farm today with our parents in such a day as this. We thank you very much and wish you journey mercies to your various destinations”, she stressed. Earlier, Manager and Evaluation Officer of ACHI, Patrick Victor said, the Bugai community is one among several communities his organization is currently working hence the need to identify and celebrate with the children of three communities on this special occasion of theirs. According to Victor, “Instead of going to big places like stadium, Murtala square and places like that inside Kaduna town, ACHI through the support from Save the Children project have decided to come to this village to commemorate this year’s children day with these wonderful future of our dear country. “As you can see, they are happy that we are here to celebrate with them and that is our happiness too. It is one of those things ACHI is doing, penetrating remote communities and helping them health wise among others. “I was so amazed when the children raised the issue of violence against them. It means they know what is happening and I think people at position of authority should understand their request and see what they can do about it. And to rise to the occasion, we need to start with the right legislation though there are many NGOs like ACHI working hard to reveal problems that those in villages are facing for the single purpose of provoking people to action especially the policy makers and interest groups”.